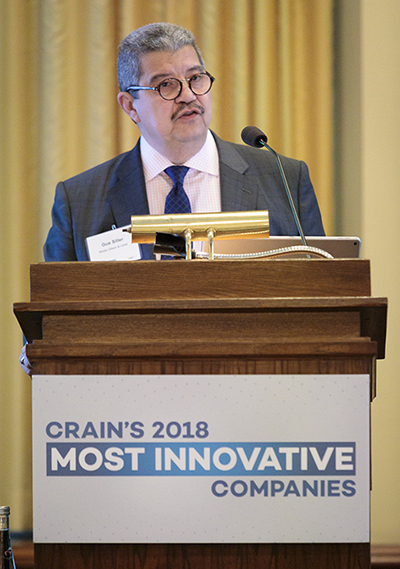 On November 1, 2018, some of Chicago’s most innovative companies met at The Chicago Club for the first annual Crain’s Most Innovative Companies Breakfast. The event honored the city’s 10 most innovative companies and the 10 companies that received the most patents in the previous year. All three panelists said innovation must align with corporate strategy, and vice versa. Ashish Khanna, CFO and CBO of clinical-stage biopharmaceutical company Aptinyx, said product development through incremental advances of already existing products is important. But, to truly innovate, companies must not be overly cautious. “Taking calculated leaps in the design and R&D phases can be more risky, but also more rewarding, than smaller, incremental advances,” he said. “Companies need to find people who are like-minded and build an appetite for risk into the fabric of the company culture.” Risks are inherent to creating patents and to innovation, generally, he said. When questioned on challenges that innovation-driven companies face being headquartered in Illinois rather than more well-known tech communities, all three panelists were similar in tone and sincerity. “Success breeds more success,” Khanna said. “Chicago will benefit from local business innovation triumphs as it continues to encourage innovators to come here and stay here.” The panelists said they don’t have any trouble recruiting top-notch talent, especially from the universities and hospitals in the area. They said young people often move away for college and then come back to Chicago to look for work. In the end, recruiting and retention are not really things the panelists worry about. Each panelist emphasized that they had found distinct and unexpected ways to innovate. Thurman said that Wilson breeds a culture of curiosity, one that makes employees think outside the box. He said that just recently, the company collaborated with Forever21, something he could not have predicted even a few years ago. According to Khanna, “Of course innovating is intrinsic to what our R&D groups do. But unexpected answers also come from those folks who don’t hold R&D roles. Innovation in our business comes not only from cutting edge science but also from talking to patients, caregivers, and physicians. You learn how to innovate through hearing their needs.” At Narrative Science, Beil said they have a dedicated incubation team to design and develop ideas. “The incubation team is actually where a lot of our patents have come from,” he said, which is not the traditional or expected way he had imagined they would innovate. 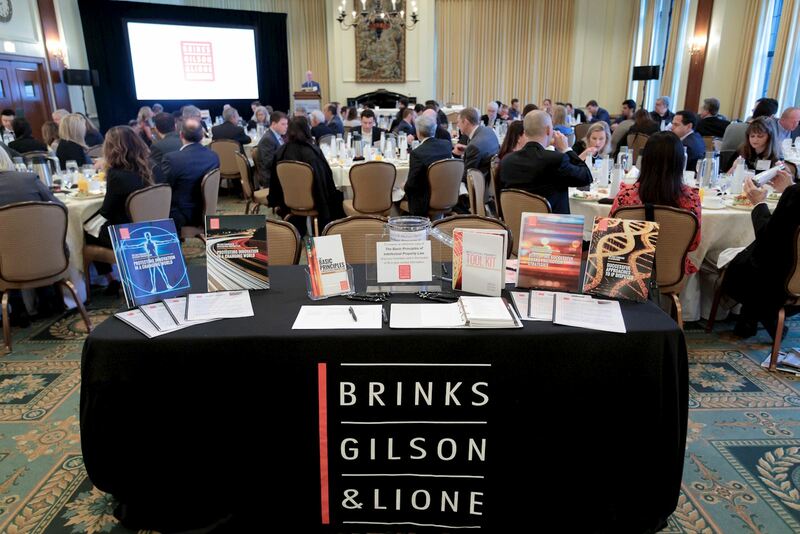 Brinks was honored to be a part of this unique and first of its kind event with Crain’s and our co-sponsors, Baker Tilly and Savills Studley. As a full-service IP boutique, we understand the challenges, concerns and excitement about successes that our clients experience throughout their development. We look forward to continuing to serve our clients as innovation strategic partners for years to come.